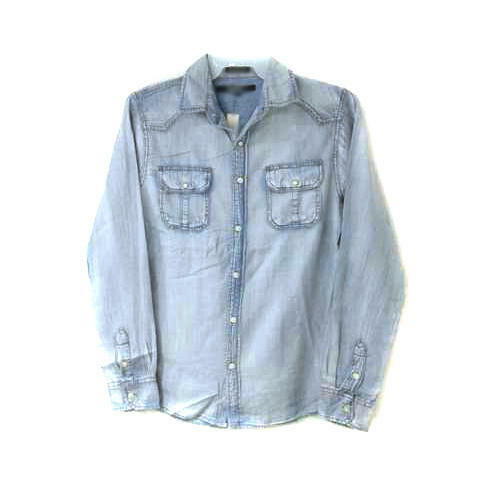 We are highly acknowledged organization engaged in presenting a remarkable range of Denim Plain Shirt. Commenced in the year 2015, Virukshaa has carved a niche amongst the trusted names in the market. The ownership type of our company is a partnership. The head office of our business is situated in Chennai, Tamil Nadu. Leveraging the skills of our qualified team of professionals, we are instrumental in manufacturing, trading, wholesaling, exporting and importing a wide range of Mens' T-Shirt, Mens' Jeans, Boys Shorts, Mens' Shorts and many more. All our offered products are meticulously manufactured under the supervision of quality controllers using high-grade raw material and innovative technology in adherence to quality norms. We exporting 80% of our products to US and UK and importing 60% of our products from Bangladesh.